Gah! It’s Wednesday and I’m just getting to this. Tough week. The Phoenix Rising review had to be put on hold because I haven’t finished it yet. Not to worry though, it’s coming. Meanwhile, The Gearheart has been out for a while. I just discovered it. However, I’m going to act like it has just been released and review it. I really enjoyed this one, it appealed to the pulp nerd in me. I searched Podiobooks looking for Steampunk books and up this popped. There is a debate akin to a holy war going on over what does and does not constitute Steampunk that I’m not going to get into right now. Suffice it to say that The Gearheart does have airships and appears to take place in a world on technological par with our late 1920s to early 1930s. It’s a world where magic is hidden, alchemy is suspect and a group with one incredibly cool name (Seekers of the Arcane Unknown) hoards secret knowledge and practices the forbidden arts. 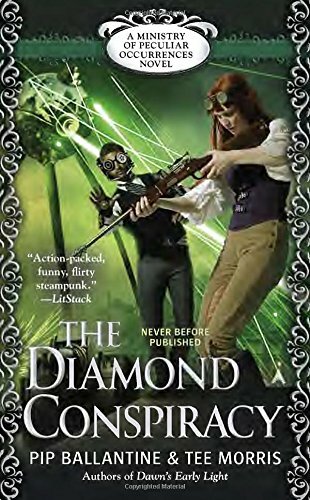 It would appear to be closer to Dieselpunk than Steampunk, with a hefty dose of magic thrown in for good measure. Normally, I don’t care to have my genres all that mixed, but Alex has made it work very well. So, call it whatever makes you the most comfortable, you’re almost guaranteed to enjoy it.We open in a gritty, noir atmosphere. There’s a warehouse heist replete with wise guys, Tommy guns and soul swords, topped by a biplane’s strafing run and a Bruckheimer explosion. Then, the action starts. It’s an ensemble cast of distinct characters that almost fits the classic quest model. We have the naïve youth, the experienced mentor, the love interest, the lovable rogue, the plain spoken fixer and the impenetrable warrior, among others. They retrieve the magical whatnot from the warehouse and set off on the heroic quest. Here’s where Alex goes sideways. It’s not the classic quest model after all. The Seeker organization isn’t what it seems. Corruption has crept in and governments are plotting to diminish the Order. Villains flourish, heroes die (including one shocker I won’t spoil here) and our besieged group reluctantly finds itself in a race to literally save the world. Each of the 37 episodes is set up like an old movie serial reel: a brief synopsis then straight into action for about 20 minutes, followed by a short close and some of the funniest faux commercials I’ve ever heard. Each episode ends in an evil cliffhanger (including the last one). I was fortunate enough to download all the episodes at once from Podiobooks and so was spared the agony of waiting a week between each of them. The episodes clock in about 20 to 25 minutes in length apiece; perfect for my day job commutes. The exceptions to this rule are the final three; episodes 35 and 36 are double length and 37 is triple length. Alex is a jack-of-all-trades, writing both story and soundtrack and performing the male voices and soundtrack (with the occasional guest artist). His wife Renee handles the female characters. Both actors have more than sufficient range to provide separate and distinct characterizations for the cast, although one character’s accent required a couple of episodes to settle into a regional one I could recognize. The pacing and delivery are transparent, so much so that I found myself resenting the end title when the music began playing under. That’s a thumbs up to the quality of the writing as well. Though, there were a couple of places where I was taken aback. One instance is the description of the shapeshifter’s teeth. They were described as ebon and sharp, invincible with the ability to puncture and rend everything. The teeth were glassy … Glassy? Hmmmm. Not a show stopper, just not the choice I would have made. These instances were few and far between. I mention it because the overall quality was such that it made these instances stand out. Technically, there were some episodes where the end title music tended to overwhelm the dialogue. Your mileage on this may vary, however. I was listening to the podcasts on a single ear Bluetooth headset. Better headsets may very well diminish or remove this issue. The story line started out with a bang and keeps up a fast pace through the first 18 or so episodes. Then the pacing slows. In comparison to the first half of the podcasts, it almost wanes. However, that doesn’t last long, the action picks right back up and the series finishes with a bang, a zinger and an unexpected twist. 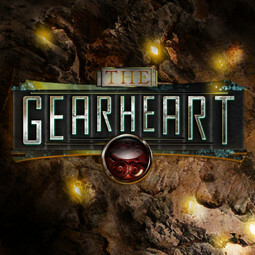 I downloaded The Gearheart from Podiobooks. 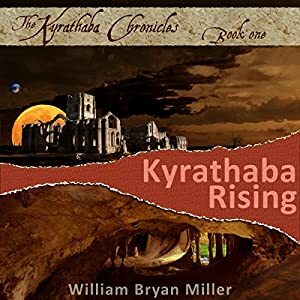 The complete novel is available there, at The Gearheart site and from iTunes. The Gearheart site is very well done, easy to navigate and well organized. Alex has quite a fan base and has completed a prequel story, set in the same universe. The Gearheart has an open ending. Given the amount of craft I’ve seen invested in this, I wouldn’t be surprised to see a sequel. I know I’d like to see one. Final Verdict: Rating (4 of 5) What are you doing still here? Go download it! This post originally appeared May 4th, 2011, on my old site It was a Dark & Stormy Night … I have graciously given myself permission to repost it here, in lieu of original content and/or to preserve it for hysterical purposes.